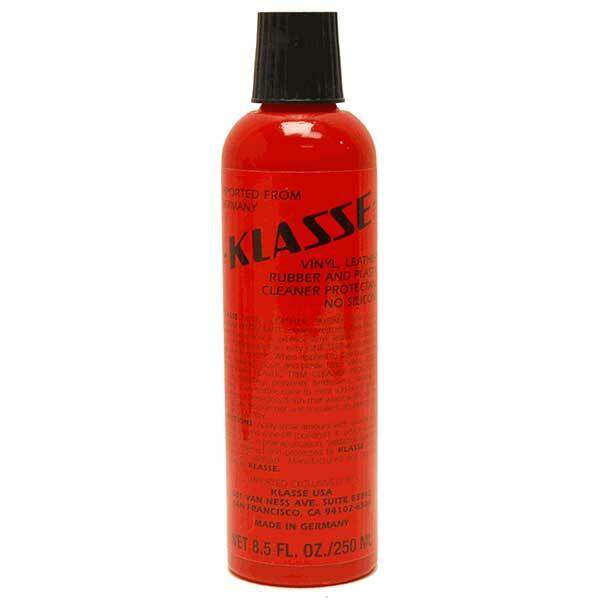 Klasse Vinyl, Leather, Rubber & Plastic Cleaner/Protectant quickly and easily cleans, restores, and protects interior and exterior surfaces. 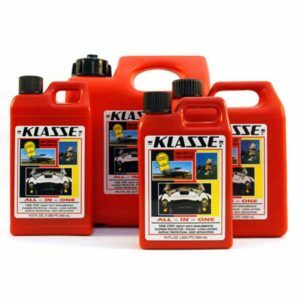 Use it on rubber, plastic, leather, and vinyl to restore the original beauty of the surface. One simple application leaves a semi-gloss, non-greasy sheen that protects the surface from UV rays for up to three months. 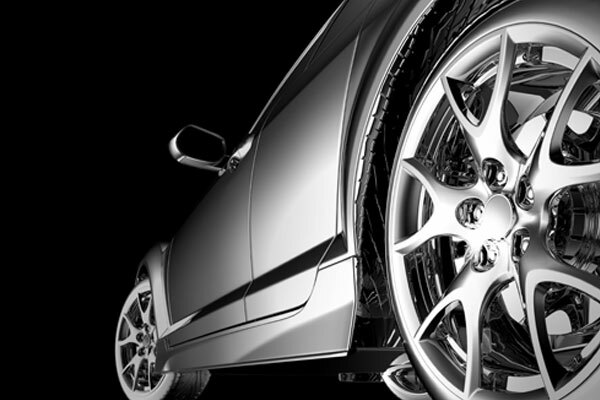 Faded and dull vinyl, rubber, plastic, and leather surfaces will be restored and protected in one step. 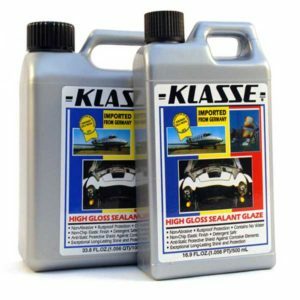 Klasse Vinyl, Leather, Rubber & Plastic Cleaner/Protectant prevents brittleness, fading, and cracking while improving the overall look of the vehicle.